In the domain of fine arts, one of the biggest challenges is transportation. The artwork is carried out by different players (owners, transport companies, exhibitors and or restorers). SYB service suits the requests of the masterpieces’ owners of that require real time nail to nail real-time monitoring. The customer, Musei Vaticani, Diocesi Catalgirone, needs to send their main masterpiece to Rome for top professional restoration. 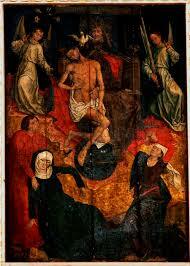 The masterpiece is a wooden painting dated around 1500 valued almost Euro 0.5 million. The Masterpiece “Il Trono delle Grazie”, had to be monitored at all time during the transport. Critical aspects such as temperature, humidity, box opening and shocks had to be checked and recorded in real-time. The SYB monitoring and alert service tailored to the transport. In agreement with the owner all critical parameters were set and uploaded to the system. The owner had then been given visibility at all time of the trip of the “Trono delle Grazie”. SYB’s ability to send preventive alerts to the customer, the logistic company and the restorers’ team was key to the success of the operation. The moment itself one of the parameters went out of specs an immediate report was compiled and sent allowing the involved parties to take immediate actions preventing damages to the masterpiece. In this way all stakeholders could not only to track the masterpiece from Catalgirone to Rome, but also monitor its conditions and intervene in real time.